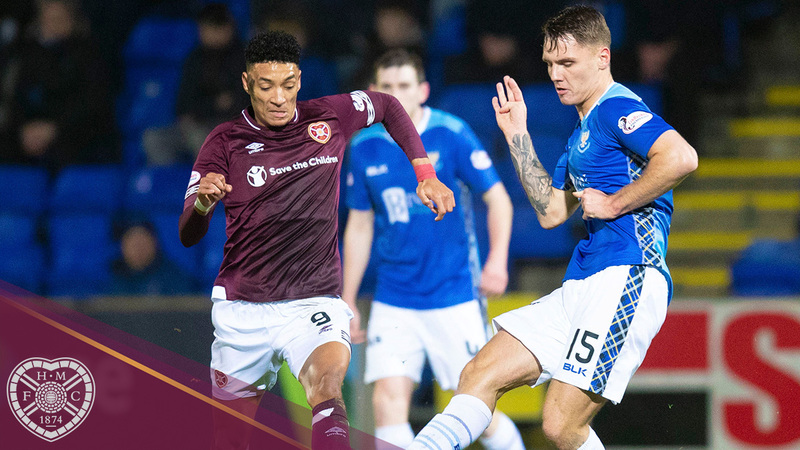 Hearts were forced to settle for a draw at St Johnstone after the home side equalised controversially. 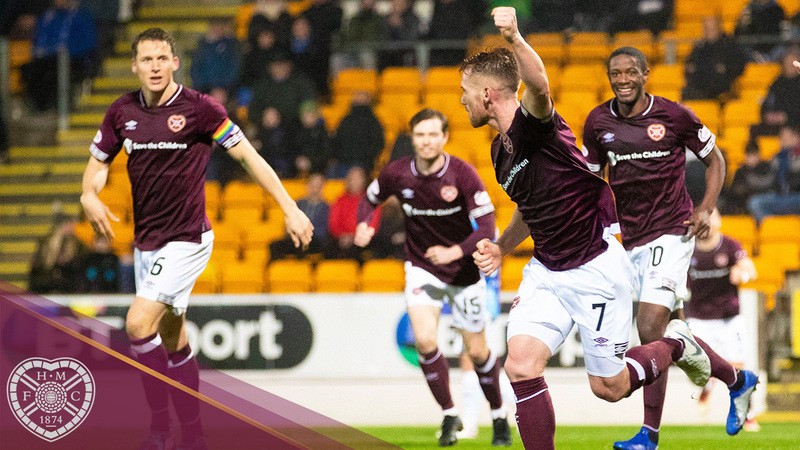 Two first-half headers from Arnaud Djoum and Oliver Bozanic had given the Jambos a deserved lead, either side of a Blair Alston goal, but referee Andrew Dallas awarded a penalty in the second half against Peter Haring ,with Matty Kennedy converting the spot kick. Craig Levein made three changes to the side that lost to Rangers on Sunday, with places for Craig Wighton, Olly Lee and Clevid Dikamona in the starting line up. 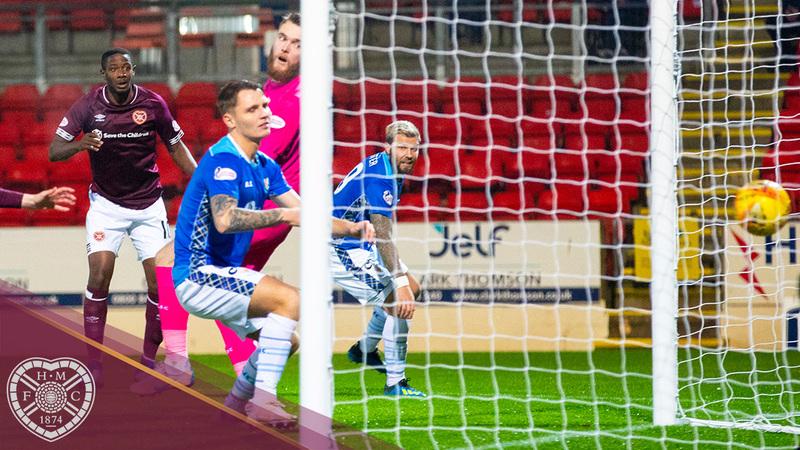 Hearts started the match brightly and took the lead on five minutes when Michael Smith’s deep cross to the back post was headed into the back of the net by Arnaud Djoum. Tony Watt then took Christophe Berra for a run down the right wing and beat the defender. His cut back was met by Kennedy, but the forward mis-kicked the ball, instead teeing up Scott Tanser, whose shot flew just wide. The hosts levelled on 19 minutes when David Wotherspoon beat Smith down the left wing with a neat stepover, and his deep cross was volleyed home by Alston from close range. But Hearts re-took the lead just before the interval. Demi Mitchell skinned Richard Foster on the left and, after being stopped unceremoniously, won a free kick that Olly Lee sent into the area to be met by Oliver Bozanic, who headed over Zander Clark and into the back of the net. The men in maroon looked comfortable in the second-half, soaking up any pressure directed towards them. Then came a moment that had everyone of a Hearts persuasion left scratching their heads. Liam Gordon jumped for a ball into the Hearts box but couldn’t get to it, falling to the deck as gravity dictates. Haring was standing beside the defender with his arms by his side, yet the referee signalled that an infringement had taken place and pointed to the spot, to everyone’s bewilderment. Kennedy stepped up and sent Zlamal the wrong way, equalising for St Johnstone. Kennedy almost scored another when he broke into the area, but his shot was well saved by Bobby Zlamal at the near post. The game became scrappy at this point and, with substitute Callumn Morrison’s volley from inside the box failing to properly test Clarke and the match ended in a draw. St Johnstone: Clark, Tanser (Gordon, 46'), Alston (Kane, 66'), Shaughnessy, Davidson, Wotherspoon, Kerr, Foster, Craig, Watt (McMillan, 83'), Kennedy. Subs: Hurst, Nydam, Scougall, Callachan. Hearts: Zlamal, Smith, Haring, Berra, Bozanic, Lee (Morrison, 80'), Clare (MacLean, 89'), Djoum, Mitchell (Godinho, 77'), Wighton, Dikamona. Subs: Doyle, Hughes, Cochrane, Mulraney.